November absolutely whizzed by didn't it?! I've been putting of writing this for a few days because the start of December has been a little tough on my mental health. BUT, I'm feeling a lot more 'me' today and ready to actually get stuff done, ya know? So, November, you treated me pretty well. I saw my favourite musician (a guy called Ron Pope just FYI) in the whole world play in a tiny gig in Manchester. There were probably only 100 people at the gig, so we were really up close and he was just as incredible live as he is on record. The dream. I also passed my three month review at my new(ish) job, and I feel so happy and relieved. Now on to the favourites. This month is a little short on them because I've not been trying out *too* much new stuff as Christmas approaches. 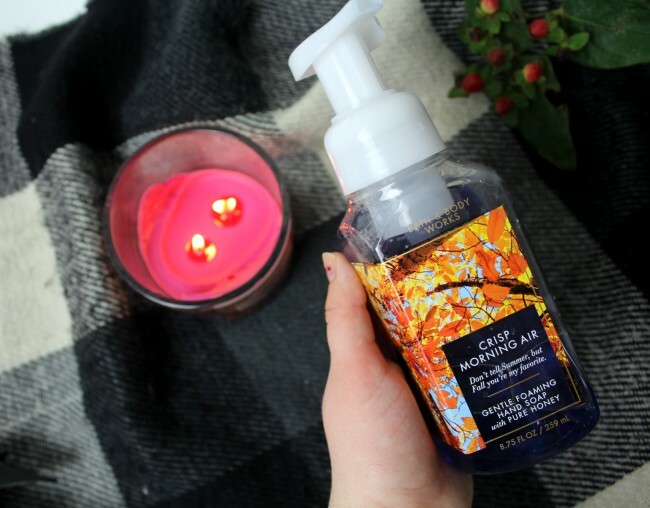 First up is my only beauty piece, and it's the 'Crisp Morning Air' foaming hand wash from Bath and Body Works. This is pretty much the nicest thing I've ever smelt. According to the label, it smells of pine, juniper and pear. But for someone who hates the fake smell of pine - it just reminds me of public toilets ya know? - this must have a lot of the latter two in to overpower it. It also contains honey, so it's been super nourishing for my eczema-prone hands. I've been trying to improve my home with a few little touches over the past couple of months. I really started to think that everything was a little too bare, so naturally my first stop was B&M because my GOD there are some absolute homeware bargains in there. Our squirrel doorstop (similar here) has been perfect for Autumn decor and it has made my life ten times easier when I'm trying to wrestle my way past our bedroom door that naturally swings shut. I also picked up some extra candles, which I've chatted about in a lot of detail here because they are the perfect Bath and Body Works candle dupes. The spiced pomegranate cider one is such a perfect blend of winter spice scents and I've been burning it on my desk pretty much daily all month. 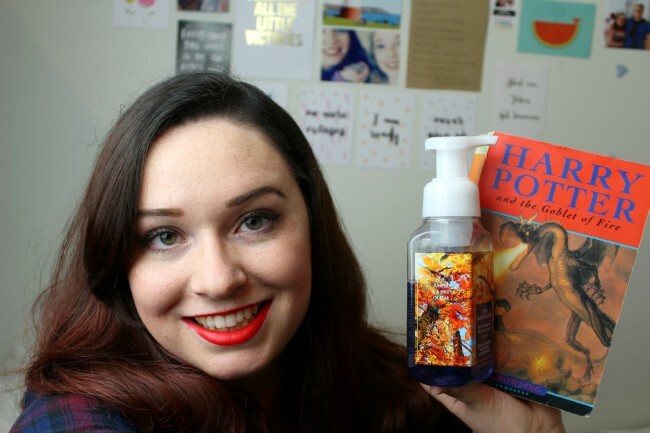 My last product favourite is one that makes me feel hella elderly but it's genuinely fab. 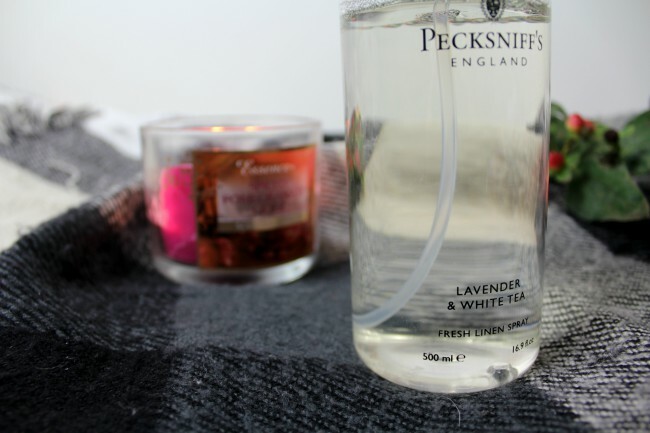 I picked up a lavender and white tea Pecksniff's linen spray from HomeSense (making it a genuine bargain at £3.99) at the end of October and it has revolutionised my life. You spray it on your bedding and towels after washing them before putting them away and it stops them from getting that musty airing cupboard or linen drawer odour. Lavender makes me feel super relaxed, so spraying this on my bedding is a really nice touch for when I put on fresh sheets, mmmm. Finally, let's chat books and TV to round things off. 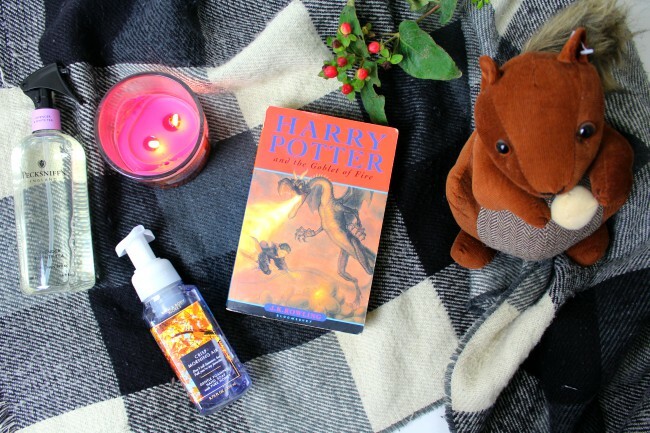 I re-read Harry Potter and the Goblet of Fire in November and it was just as good as I remembered it. There were so many little things that I'd missed when reading it as a kid and oh my god the ending made me sadder than it ever has done before. I've also been watching a buttload of 'Suits' this month. It's sassy and funny and I've had so many 'he/she did NOT just do that' moments. I love it. It's honestly the best. I WISH Bath and Body Works would just come to the UK already. I'm so relieved I passed it, thank you!